Some of the Native American nations of the Great Plains lived in communities and farmed and hunted. 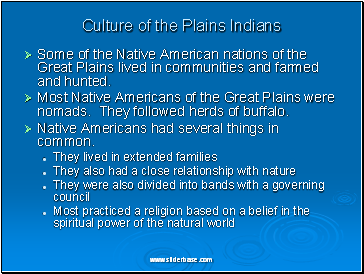 Most Native Americans of the Great Plains were nomads. They followed herds of buffalo. Native Americans had several things in common. 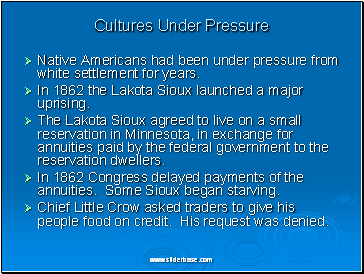 Native Americans had been under pressure from white settlement for years. 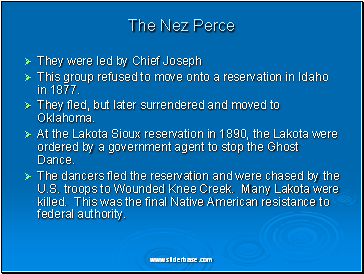 In 1862 the Lakota Sioux launched a major uprising. The Lakota Sioux agreed to live on a small reservation in Minnesota, in exchange for annuities paid by the federal government to the reservation dwellers. In 1862 Congress delayed payments of the annuities. Some Sioux began starving. Chief Little Crow asked traders to give his people food on credit. His request was denied. The U.S. Army sent patrols into the northern Great Plains to prevent further uprisings among the Sioux there. 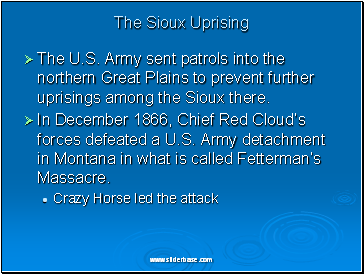 In December 1866, Chief Red Cloud’s forces defeated a U.S. Army detachment in Montana in what is called Fetterman’s Massacre. By the 1870s, buffalo were rapidly disappearing. The buffalo were killed by migrants crossing the Great Plains. Many Native Americans left their reservations to hunt buffalo on the open plains. In 1876 the Lakota left their reservation to hunt near the Bighorn Mountains in southeastern Montana. 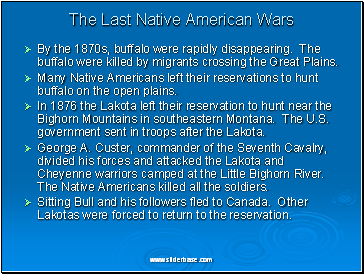 The U.S. government sent in troops after the Lakota. 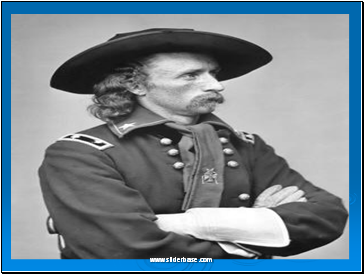 George A. Custer, commander of the Seventh Cavalry, divided his forces and attacked the Lakota and Cheyenne warriors camped at the Little Bighorn River. The Native Americans killed all the soldiers. 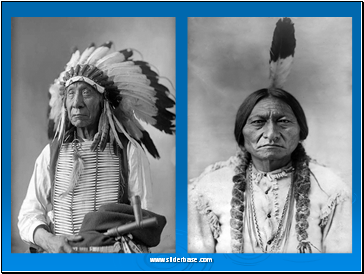 Sitting Bull and his followers fled to Canada. Other Lakotas were forced to return to the reservation. This group refused to move onto a reservation in Idaho in 1877.